Connect your phone and computer network devices with the CE-TECH 100 ft. White Station Wire. This wire is for in-wall or in-attic applications. The wire is compatible for use in residential or small office locations. In-Line Phone Coupler White Connect your video equipment to an in-wall coaxial cable installation with the CE-TECH White F-Connector Wall Plate. This wall plate is durably constructed for long-lasting use. 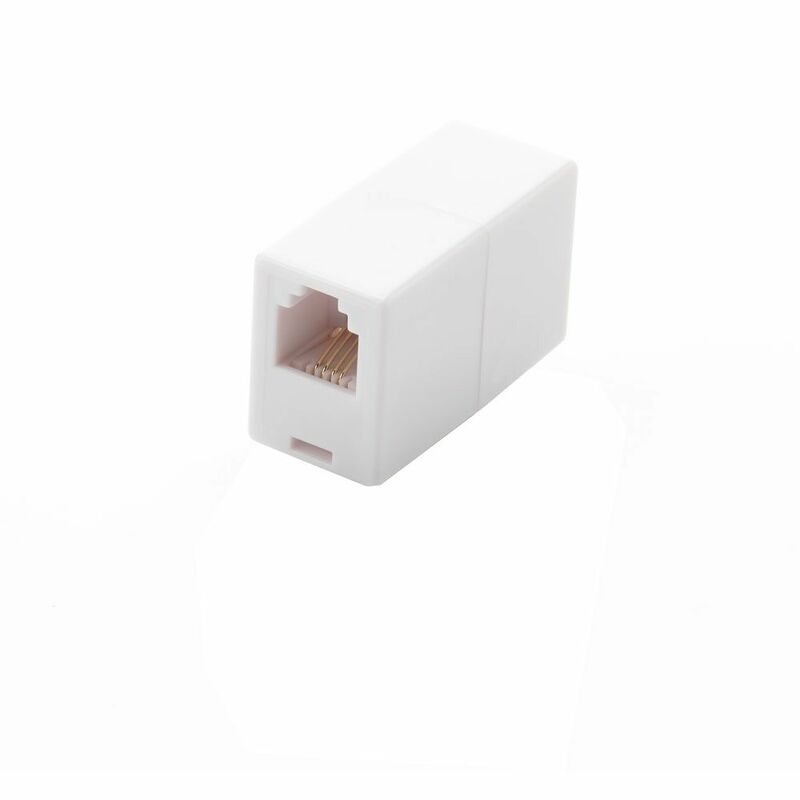 In-Line Phone Coupler White is rated 5.0 out of 5 by 8. Rated 5 out of 5 by Sue from We needed the part to hook up a second copier.... We needed the part to hook up a second copier. It's hooked up now and all is working fine. Rated 5 out of 5 by Jim from A simple device to extend the each of a standard telephone line. A simple device to extend the each of a standard telephone line.